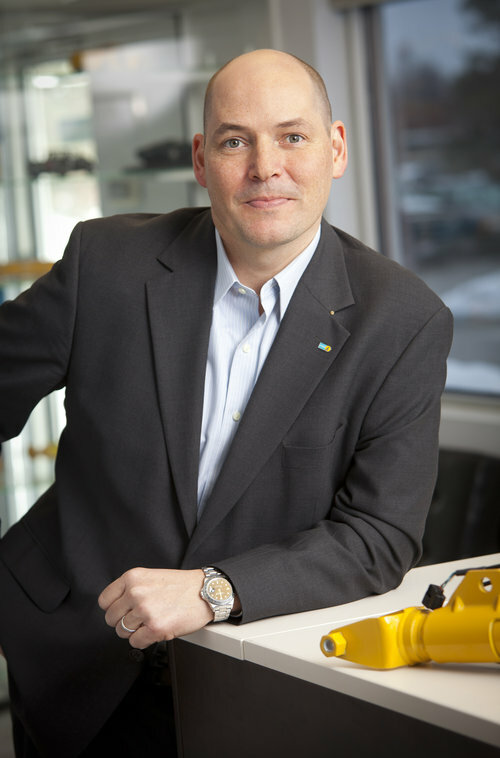 Thyssenkrupp Bilstein of America, Inc.
Fabian Schmahl was named President & CEO of thyssenkrupp Bilstein of America, Inc. in April 2008. He is responsible for managing the development and manufacture of premium quality, high performance automotive suspension solutions for Original Equipment, Aftermarket and Motorsports applications. Schmahl oversees the operations of thyssenkrupp Bilstein locations in Hamilton, Ohio (headquarters); Poway, California; Troy, Michigan; and Mooresville, North Carolina. Since 2011, thyssenkrupp Bilstein has completed three major expansions to facilitate the implementation of the latest technologies in the industry while expanding its Hamilton workforce by 500 employees. Schmahl began his career in the plastics industry in 1997 as Management Trainee at Thyssen Henschel Industrietechnik in Kassel, Germany before being promoted to Production Manager. In 2000, Schmahl moved to the United States to continue his work with Henschel America Inc. as Vice President. Following this position, Schmahl entered the rubber industry as Executive Vice President at HF Rubber Machinery. As President & CEO of thyssenkrupp Bilstein, Schmahl has earned extensive recognition for his commitment to his employees, community and the manufacturing industry. Under his leadership, thyssenkrupp Bilstein has been recognized as a Top Workplace in 2010, 2011, 2012 and 2013 by Enquirer Media and Best Workplace in 2010, 2011, 2012 and 2013 by Business Courier. In 2015, Butler County Board of Developmental Disabilities voted the company Employer of the Year, and, in 2017, the Ohio Governor’s Council on People with Disabilities named the company Employer of the Year. In 2016, Schmahl was named to the 75/71 Business Hall of Fame by Cincy Magazine, and, in 2018, he received the Civic Leadership Award, which honors Cincinnati leaders who have demonstrated leadership, professional achievement and continuous, invaluable contributions to their community. Schmahl was recognized for his outstanding service to German-American relations, having received the German-American Friendship Award on behalf of the German Ambassador in 2015. Schmahl received his degree in Mechanical Engineering from Technical University in Clausthal, Germany. He currently resides in Cincinnati, Ohio, with his wife Jennifer and children Anna and Leopold. ThyssenKrupp Bilstein equips manufacturing employees with cobots and supports them using autonomous automation. We will talk about Bilstein’s plan for automation, the success it has seen, the challenges, and culture change necessary for automation to succeed. Join the mailing list and we'll share the lowdown on MT360, including discounts and speaker announcements. By clicking "Sign Up" I consent to receive emails from the MT360 Conference. Thank you for joining our mailing list! We will be in touch shortly.